Are your stretch marks getting you down? Stretch marks on the back, legs, arms and hips are a common problem, according to research published in the British Journal of Dermatology, around 75 to 90 percent of pregnant women will develop stretch marks. Women have taken to social media embracing their stretch marks with the #LoveYourLines hashtag even supermodel Chrissy Teigen posted a photo on Instagram with the caption, “Stretchies say hi!”. The good news is that they are harmless and can over time become less visible. But stretch marks can make people feel self-conscious and can have an emotional impact. So, if your stretch marks are causing you distress the Skin to Love Clinic in St Albans can help. To tackle stretch marks we have a selection of options for our patients. We use Regenlite, a non- ablative laser treatment which doesn’t damage the surface of the skin but tricks the body into thinking that an injury has been sustained. It works well for treating the redness that appears at the early stages of stretch marks before they turn silvery white. 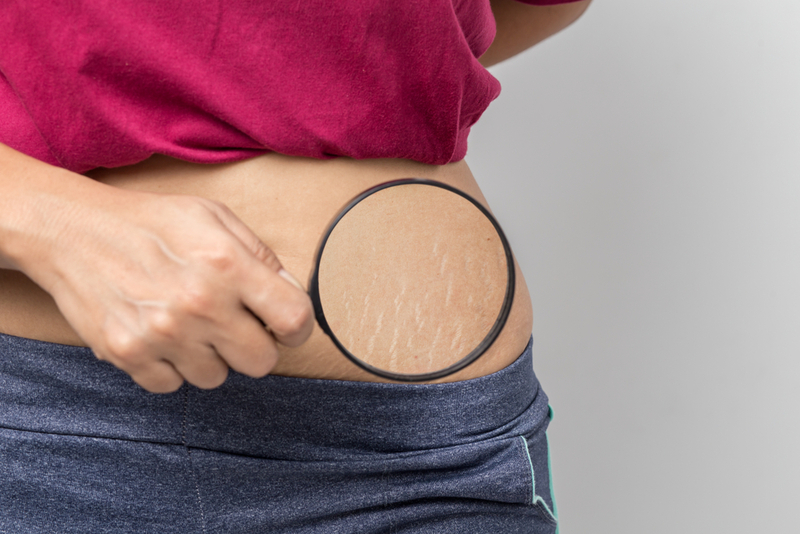 If you would like to soften the appearance of stretch marks then a non-invasive Fraxel Dual treatment is worth discussing with our friendly team. The beauty of the Fraxel Dual laser is that it can target deep within the exact section of damaged skin that requires treatment leaving the tissue around it untouched which in turn promotes rapid healing. Your body is then able to replace the old or damaged cells with healthy new ones giving you a fresh glowing skin and a softening of the appearance of the stretch marks. Fraxel is suitable for all skin types and can be used on both the body and face. A few treatments of Derma FNS are perfect if you’re looking to improve the signs of stretch marks and refresh tired dull looking skin. This Micro-needling procedure stimulates the production of new dermal collagen, hyaluronic acid and elastin replacing ageing and damaged tissue with healthy, new skin cells creating a smoother, more even-toned, softer looking skin. Results are progressive and you may notice daily improvement after your treatment with your skin looking brighter and boasting a more uniform tone and texture. Results can be achieved after a single session but even better, more noticeable results can be seen after a series of sessions. Platelet Rich Plasma is a natural technique which uses the healing and regenerative properties of your body’s growth factors, which are found in your blood, helping to preserve a healthy, youthful, smooth skin and improve the appearance of stretch marks. PRP can be put back into the stretch marks on your skin with a very fine needle, however, it can also be used in conjunction with Derma FNS and Fraxel Dual. To work alongside our treatments and for you to use at home we’ve developed our own range of skincare products, Skin to Love, which includes a stretch mark cream to stimulate collagen and improve the quality of the stretched skin. Our products are rich in SmartPeptides™ which mimic the skin’s own inbuilt restorative and protective functions and can target problems such as loss of firmness and elasticity. So, if stretch marks are getting you down why not contact us to book a consultation and we can talk through the treatment options. 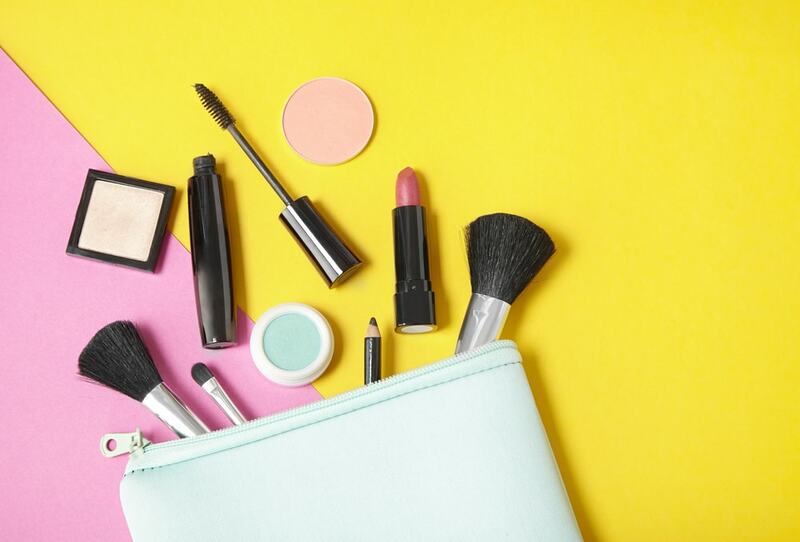 Clean out the bathroom cabinet and tidy up that make-up bag – it’s Spring!